Nigeria international Ahmed Musa is now the leading scorer in the Russian league after his brace helped CSKA Moscow beat Terek Grozny 2-1 on Saturday. Ahmed Musa now has nine goals under his belt ahead of teammate Bibras Natcho and Hulk of Zenit, who each have eight goals. 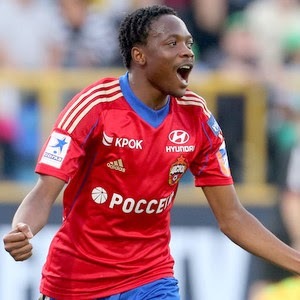 Ahmed Musa’s double was a great way to the restart the Russian Premier league and he told AfricanFootball.com both goals are for his wife Jemila and son Musa. He said they deserve it as they have been there for him. “I dedicate my goals against Terek Grozny to my lovely wife, Jemila and son. They deserve the honour because they have been there for me always. 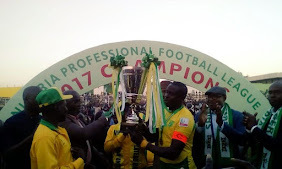 They are source of inspiration and encouragement to me,” Ahmed Musa said. He put his side ahead on the stroke of half-time following a deflection by attacking midfielder Alan Dzagoev. Terek Grozny forward Igor Lebedenko got the equaliser just past the hour-mark, with the Nigerian winger scoring the winner in the 76th minute after a great solo effort by Mario Fernandez. CSKA Moscow are second on the log after matchday 18, seven points away from leaders Zenit Saint-Petersburg.